Before you start commenting and telling me they don't work please hear me out. I am not saying that for sure these things are doing anything at all. I am pointing out the facts that I can recognize myself. In this blog I have spoke of many magic symbols and different occult history and magick. Do the power bracelets utilize a force that is not yet known by main stream science? That is a good question. Many famous people have embraced the power and balance bracelets. I know they could have been paid off so that they can be walking advertisements, but what if there is something more here? 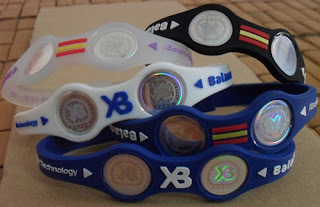 Many different companies have made their own versions of the power bracelets and there is always 2 things in common, they use weird symbols that I know nothing about, and they use holograms. In the above photograph you can see these symbols around the parameters of the holographic circles. These symbols are very hard to capture on camera because of the hologram, and the light needs to bounce the correct way in order to view them. 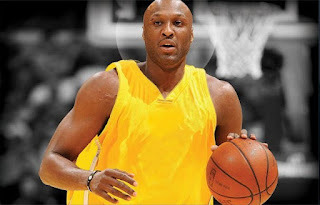 This is a picture of Lamar Odom from the Lakers NBA team wearing a power bracelet with this hologram. Many NBA players have been criticized for being in a secret group of elitists known as the Illuminati. I'm not here to debate people as to whether or not the Illuminati actually exists, because it is obvious that there is a secret group that runs our planet regardless of who or what you call them. This is to simply point out that indeed basketball stars mostly, and other famous celebrities and athletes swear by these power bracelets. There are no magnets, or other working parts to this power bracelet. I have taken it apart and its function seems to revolve around the symbols and the hologram. This stuff is very strange, and deserves a second look by people that wish to research these things. 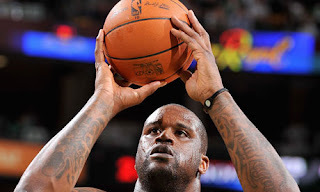 Here is Shaquille O'neal sporting his power bracelet. Lebron James does magical hand gestures at the start of every game. Will more NBA stars start to wear this power bracelet? There is no telling, but obviously these power bracelets are becoming more and more popular. Are they really to affect power and balance? Maybe there is a more important function to these bracelets that affect our brains or hypnotizes us into buying them. Whatever it is, it seems to be very sinister and the company seems to be very deceptive. After doing much research on other circles I have found online with strange symbols, I have learned about the "Codex Magica" which is a secret series of symbols that could be alien for all I know, that have a very deep occult and esoteric secret meaning. Like I said I in no way claim to know what any of these symbols mean, but if you get a power bracelet you can definitely see these if you look at it at a certain angle. 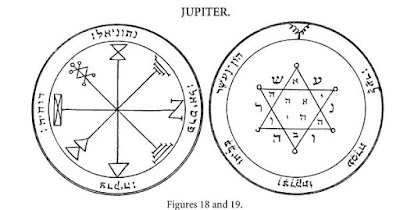 Above is the symbol for Jupiter, notice they are both perfect circles with strange symbols every where. So called magicians have used these symbols for centuries including Joseph Smith of the Mormon faith. He died with a Jupiter Talisman. Here is an image of a Nazi prototype of a UFO or anti-gravity machine. 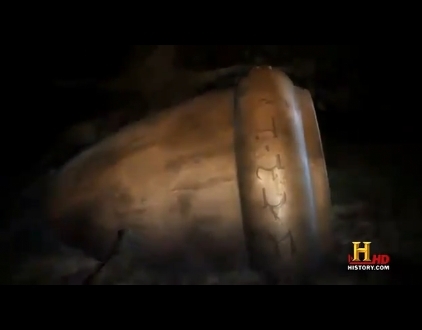 Notice the strange alien symbols that are at the base of the craft? I do, and this is also a perfect circle. I think we need to look more into the meaning of these alien/occult writings and functions of these symbols. We could be doing harm to ourselves by just looking at them, however I feel that the public must always be informed. I believe that symbols do inherently carry their own form of vibrational and harmonic power. Remember, I am not saying that these power bracelets do what they say, however it is obvious that it is putting people under the influence of some type of energy that we may not fully comprehend. Please comment on this article and let me know what you think. 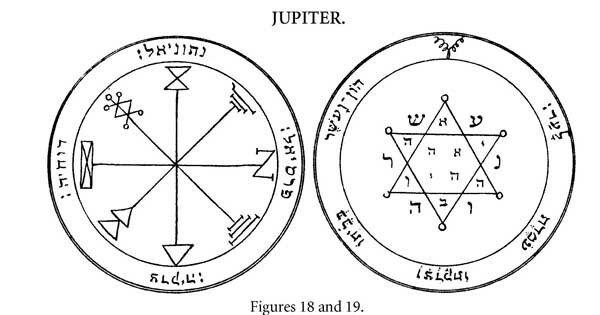 I'll explain the mysteries of the Seal of Jupiter to you if you want to know. It's not that deep or dark. It's all, pretty much, spelled out in Agrippa's Three Books of Occult Philosophy. This is perhaps the oldest "alien technology" we have on the planet. It's about working with the "Intelligences and Spirits" (disembodied, i.e. trans dimensional entities) of extraterrestrial planets (the planets of the Solar System, for example). It's not a big secret, it's just that no one really pays attention because it's too weird. There's a whole science of manipulating experiential reality through applied symbols interacting with thought, tapping into the manifestation points between thought and existence. Thanks for the comment. I know it's not secret it's on wikipedia page for Joseph Smith. To this day many Mormans deny that fact. The symbol on the bracelet and on the "Power Balance" logo shaped like the letter M is a fire alchemy emblem that signifies "connection".In black magic fire is used for love spells to bring a loved one close ... Plus many people felt tired and unwell while wearing this bracelet.Something is very wrong here.This is no easy subject and i'm confused too.I would stay away though.The fact that is so popular and so many celebrities wear it is alarming too.Great article! If you doubt that, what's the Dot in the 'B' for? I'll tell you. The Green lower portion of the 'B' forms a Pyramid. The DOT in the center is the 'All-Seeing' eye. Just like on the Dollar Bill. It is the EYE OF APOLLO. Revelation 9:11 " and they have over them a king -- the messenger of the abyss -- a name [is] to him in Hebrew, Abaddon, and in the Greek he hath a name, Apollo." I'll pass on the bracelet thank you! Hi, what do you mean that the B forms a Pyramid ? Can you give a link-explanation about that ? Thank you, however i find very positive that you are a truth seeker. There are many symbols that affect us with the same way, and many things that are in our home that affect us with the same way. Personally i believe that we should stay away from them.